When we bought a house, the first thing we decided to tackle was painting. When most houses are built, the walls are painted white and within a few days you begin to feel as though you are in a clinical setting rather than a home. So off you go to the store and grab paint swatches to mix and match and see what you think would be a good color for your home. After some debate we decided to go with a gray for the living room. I am all for odd colors that are not typical of the color you see in the homes of everyone you know. The tans, beige’s and variations of an off white are still just a little too light. When we decided on the gray, we went with two colors – one was supposed to be somewhat darker than the other – however; there was really not much of a variation. Once we had purchased all the supplies we needed in addition to the paint, we decided to get the painting complete before we moved. So recruiting everyone we could to help, we started the task. I soon found I was not suited for climbing ladders and the wall was too high to reach all the way with a roller on a pole. That meant someone else was going to climb and fill in around the ceiling, because my knees were not cooperating. Lesson number one – always recruit help because you may run into something you are not suited for. The painting went pretty smoothly until we ran out of paint and had to go back for more. 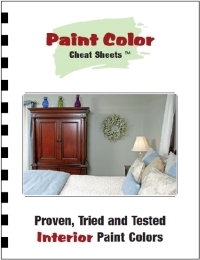 Since we had the paint mixed to get the color we wanted, this meant taking the color swatch so the paint would match. After searching for a couple hours this was finally located. There were so many variations of the color that I did not want to take a chance and get one that just ‘looked like’ the right color. Lesson number two, buy more paint than you think you will need. With the newly purchased paint, everything was going smoothly again. The recruit for filling in the paint close to the ceiling was my daughter-in-law and she did not mind climbing the ladder. I think she actually enjoyed being up there in her own space. The room, being fairly large took us about two or three days to paint which I think was because everyone took too many breaks. But if you are getting free labor, you really can’t complain too much. Finally it was finished and this was when you could really see that the two colors of gray did not vary much. It was discernible but not as much as I had hoped it would be. The ceiling also had to be painted since it was white as well and it was not uniform so a fresh coat of paint went over this. Have you ever tried painting over popcorn ceilings? If not, you will find this is one of the most aggravating aspects of painting ceilings. Lesson number three – Don’t forget to apply drop cloths over the floor especially if you have carpet. Even the best vacuum cleaner will miss some. Your hair also needs to be covered or you will be picking these small pieces out of it as well. The best and final lesson number four comes at the end. We chose flat paint when we purchased the paint for the living room. With a couple of months, fingerprints were really showing. In a home with children you will inevitably get fingerprints on your walls. Had I realized this type of paint would allow every single fingerprint to show, I would have chosen another type of paint such as latex that would take clean-up. The paint we chose did not handle it well at all. I’m ready for another painting party as soon as I recruit the help.